JGS-CC Clay is a new type of soil enrichment material incorporating cycling organic compounds. 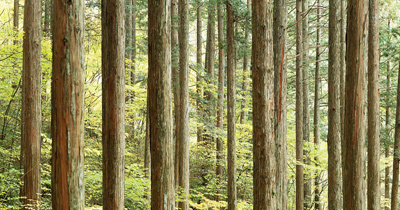 It is an environmentally-friendly compound developed through close attention to the power of nature, using the hitherto untapped resources of cedar and cypress bark that account for many of Japan’s planted forests. Our product demonstrates superior and environmentally-friendly features like these. In addition, our manufacturing process utilizes partial carbonization to deal with excess self-generated heat and extend its lifespan indefinitely so that it can continue to serve its purpose for years to come. Existing soils can also be reused for effective utilization, cutting costs and facilitating ease of maintenance. We understand the importance of school grounds, exercise areas and parks for providing the physical experiences crucial to children’s education. Those essential places are also fraught with problems. We have spent time listening to people’s input and concerns. School grounds are unusable after a rainstorm. 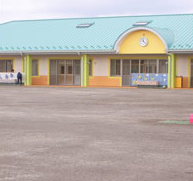 Class curriculum is affected, and children are unable to play outside during recess. Many have made it clear they want to see this difficulty overcome. In addition to making the grounds unusable, each incidence of rainfall turns areas of the grounds to sludge and hinder upkeep. For educators, who think seriously about children’s growth and development, this is not a trivial issue. We at JGS-CC Clay are here to help overcome problems such as these. JGS-CC Clay is a product fashioned from cedar and cypress bark. The fine bark fibers allow apertures to form between soil particles, facilitating greater percolation of moisture and air conductivity. Furthermore, the use of fibrous bark in the compound preserves soil’s essential flexibility, controlling solidification to reduce the impact on children’s feet and legs. Tree bark is the raw material for JGS-CC Clay. Distinctive properties of conifers like cedar and cypress naturally repress the growth of weeds and microorganisms. This can be called the crucial component for ease of maintenance. In addition, the effective utilization of the untapped resource of this tree bark is gentler on the earth, in keeping with the needs of education. A plethora of institutions and facilities serve to meet people’s demands in today’s complex society. 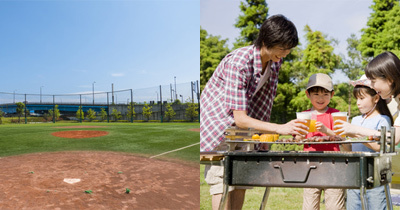 In just one park, there might be a field for baseball along with several meters of ground for a public square with barbecue facilities. The people who use the park might also have different purposes in mind. Some just want a place to take a rest, while others want to spend the day there with their families. Responding to this diversity of needs is no easy task. But JGS-CC Clay just might be able to help in situations like these. JGS-CC Clay has consistently been called on to provided services meeting the divergent needs of parks and other facilities, with the know-how to handle the gamut of installation and renovation projects. With assurance of long product life and reduced soil erosion, JGS-CC Clay offers lower post-installation maintenance than ordinary soil, as well as the safety of lower proliferation of microorganisms. Existing soil can be utilized in most places throughout the nation. In some cases, costs can be further lowered by obscuring buried conduits and rubble beds. 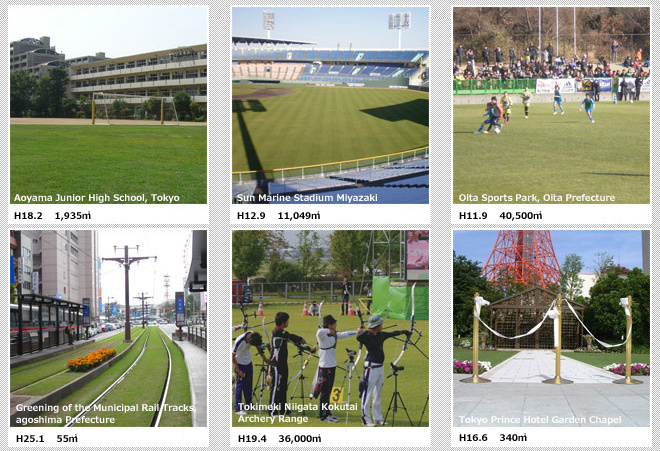 JGS-CC has been of proven utility and know-how in its track record in meeting the wide-ranging needs of multipurpose plazas, baseball fields, tennis courts, and more. JGS-CC Clay offers excellent results even to those locations requiring precision management and highly particular functions. As just one example, equestrian grounds all over the country are using JGS-CC Clay. As the condition of the soil has a direct impact on the health of the horses, the utmost care must be given to construction and upkeep. It is also crucial that outdoor areas can be used as quickly as possible after rainfall. JGS-CC Clay provides excellent drainage and reduces erosion, so it is the ingredient to solve this problem. A rich array of examples demonstrates our know-how in constructing low-impact grounds gentle on equine bodies. 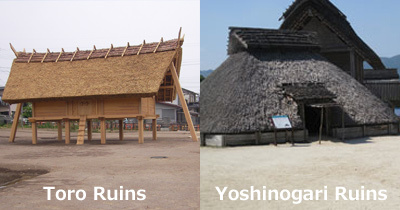 Further examples of specialty projects include the Toro and Yoshinogari Ruins, among others. The restoration of these precious cultural treasures to their original condition for continued viewing is indispensable. Any dust rising from the earth could damage the ruins themselves as well as creating a nuisance for visitors. 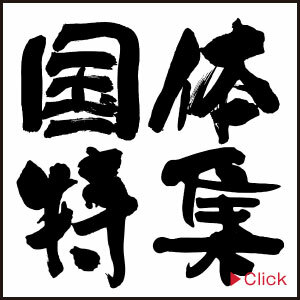 JGS-CC Clay has been praised for its particular ability to keep dust clouds from forming and to curtail the development of sludge following precipitation. If you have concerns about circumstances for special installation and management, consult us to help solve your problems. We have proven our know-how through successful completion of more than 1500 projects. 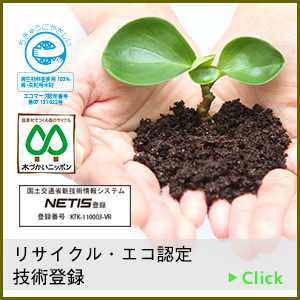 JGS-CC Green is a new type of soil enrichment material incorporating cycling organic compounds. It is an environmentally-friendly compound developed through close attention to the power of nature, using the hitherto untapped resources of cedar and cypress bark that comprise many of Japan’s planted forests. 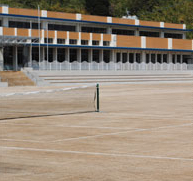 With its revegetative construction, toughness under tread pressure, and resistance to wear, JGS-CC is optimal for open-lawn plazas and sports turf. In some cases existing soil can be used to hide buried conduits and rubble beds. 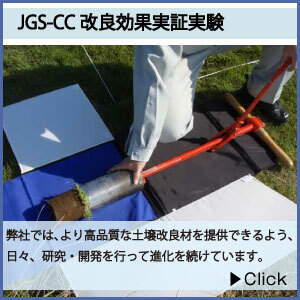 JGS-CC is helping to create an amicable environment for man and nature. Permeability & Conductivity Apertures created by filling of soil particle gaps with fine bark fibers facilitate greater percolation of moisture and air conductivity. Impact Special features of cedar and cypress bark allow greater retention of moisture and fertilizer. 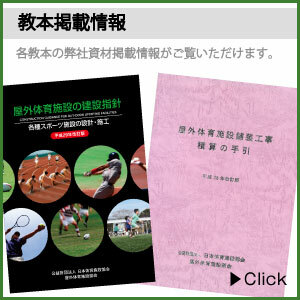 The gain in elasticity from the greening of outdoor sports grounds softens the impact of motion on back, knees, shoulders and elbows, and prevents abrasions and friction burns from falling or striding,* improving the safety of the area. *Abrasions: Strong outside pressure may tear the epidermis and cause bleeding. Abrasions suffered on paved surfaces are often seen to suppurate when soiled with dirt and pebbles. Young pupils are able to maintain and care for plants themselves, instilling interest in biology and the environment, and nurturing qualities of affection, sociability, and public spirit, which provides training for cooperative social activities. Many cases of errors in turf laying cause withered and worn portions that fail to grow back. This is most often a case of failure of the initial roots to take hold. JGS-CC’s soil remediation is designed to induce hearty proliferation of starting roots. Soliciting cooperation and understanding from parents and guardians helps to deepen relations with school and region. 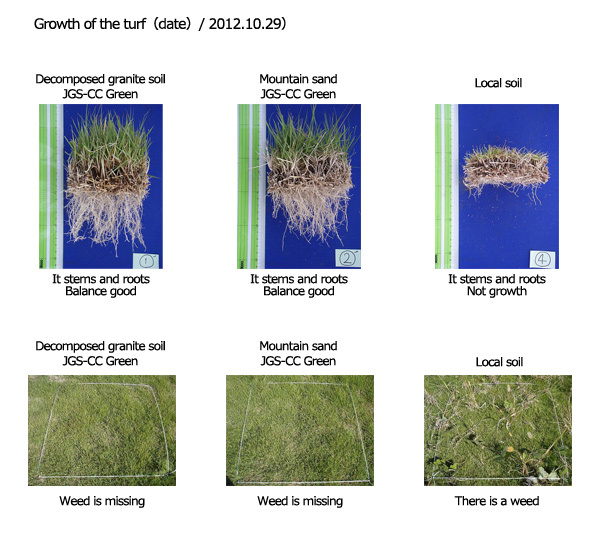 At Yukarigaoka in Chiba’s Sakura City we investigated the characteristic differences in soil planted with sod grass in terms of ①speed of lawn development, ②expansion of root systems, and ③effectiveness in weed control. *Photographs taken six months following installation. 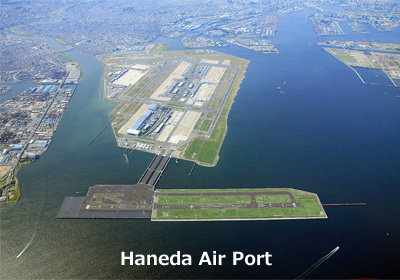 This new runway project established this airport’s offshore Runway D and its connecting taxiway, as well as carrying out the planning and construction involved in the relocation of Tokyo’s main traffic route. The new runway’s basic design outfitted it with 2,500 meters of landing strip, bridge with taxiway lighting, and security and secondary site utilities. 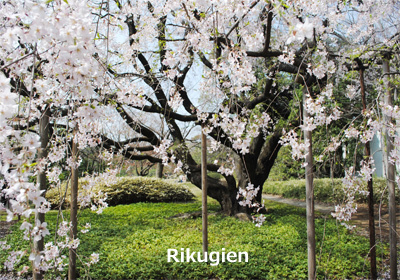 Rikugien is a traditional garden featuring a path around a pond, designed in the Edo Period by Yoshiyasu Yanagisawa. A stroll through this park calms the heart and makes you feel as if you had truly slipped back in time into Edo Japan. Each year when the drooping cherry trees are in full bloom, this park is bustling with activity. Human traffic around the trees compresses the soil around the roots, leading to a condition not unlike that of a human being deprived of oxygen. To bring back these trees’ essential vigor, JGS-CC was called to help. To this day we continue to provide upkeep of the garden’s crumb structure. Copyright © 株式会社ジャパングリーンシステム | JGS All rights reserved.